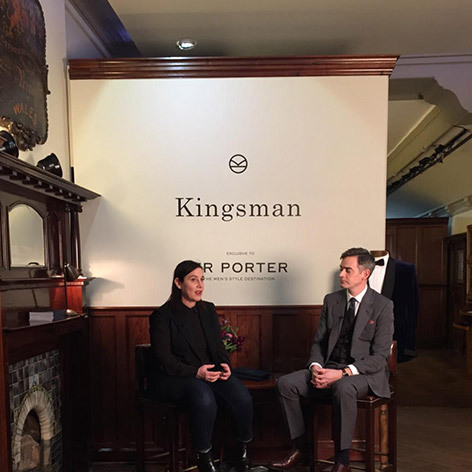 On Monday 12 January 2015, a Q&A took place in a pop up store at 11 Savile Row in London between Toby Bateman, buying director at MR PORTER and costume designer Arianne Phillips of the film Kingsman: The Secret Service, to talk about the new MR PORTER Kingsman collection, which is available now, and how the James Bond character, Sean Connery and Roger Moore among others have influenced the style for Kingsman. TB: Arianne, how did this all start for you? AP: Well, I live in Los Angeles, and I got a phone call at six in the morning. I was dead asleep. It was Matthew Vaughn, the director of the film, who I already knew a little bit as he had produced a film I had worked on years before, but I hadn't talked to him in years. He woke me up saying, "I've got this movie I really want you to design. It’s about British gentlemen elite spies, stars Colin Firth. And their base of operations is a Savile Row tailors." As soon as he said that, I was totally awake. He went on to say that he was in talks with Natalie Massenet and NET-A-PORTER and MR PORTER, to do a costume to collection "shoppable" brand that will be blending fact and fiction. I was completely enthralled. He had me. I think mainly because, speaking as a costume designer, we've never really been invited to be a part of this element, which seems ridiculous in terms of integrity of product from film to shop. As you know, the relationship between film and fashion goes both ways. Fashion influences film and film inspires fashion but, until now, it hasn't really been right. So, for the first time culturally, we're at a point where we have a global medium like film, with a global reach, being met with e-commerce with MR PORTER that has the same a global reach. So, it just seems like there is a synergy between the two for the first time. As a costume designer, to be able to curate it all together and to show it in its entirety on MR PORTER as it's meant to be seen, is just one of the most exciting things I've done in my career. TB: Had you been asked in the past to do any retail projects? Had people approached you to do collections? AP: As we all know, we're in a culture now where everybody's branding and a lot of my colleagues have gone on to produce fashion collections, to become stylists - and I live in LA so people think I'm a celebrity stylist, which I'm not. I'm more interested in narrative, so I'm not really that interested in being a fashion designer. I'm interested in the fantasy, telling stories. People do ask me all the time when I've designed costumes in movies, "where can I get these clothes?" but when you're designing a film, it's usually a one-off, so for the first time the costumes can live on. TB: We had an event here (in the pop up store) last night, and a few of the people you worked with in the costume department on the film came in and saw these clothes in situ, and their response was fantastic. They all said to me how nice it was to see the work that they'd done a year ago still living, as often once you've finished the film it's just gone. It goes into a closet somewhere and no one ever sees it. Can you tell us a little bit about how your process for designing the costumes starts when you work on a film? AP: Well, this film was really no different than any other film. I mean, the number one thing that both you (Toby) and Matthew Vaughn made clear was that it has to be about the costumes for the film first. We knew we were going to do a collection, but we had to put that to one side to create authentic, great costumes. My job as a costume designer, really, is to illustrate a character and to tell a story as a filmmaker. And really for any of this to work, we had to have a good film. The first thing I do is I read the script. I figure out the characters, how many changes they may have, what they do, what the weather is like, geographically where the scenes take place, and so forth. Then I have lots of meetings with the director and the production designer to talk about the colour palette, and the cinematographer, to understand how it will be lit. All that process was really the same. The difference, which, in a way, made my costumes more thoughtful, was that I knew that eventually it would become a collection. How that informed me was that when I was making choices about fabrics, for instance, I thought that if my name was going to be attached to a collection, I wanted to make sure that it has integrity to the film. So, I made sure that whenever I chose fabrics that they could be ordered for the collection - not knowing really how literal we would be with this first collection. 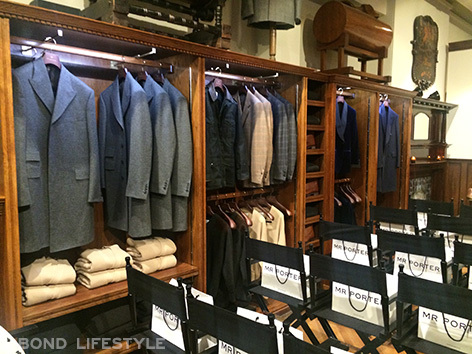 So, the fabrics that you see in the collection are actually the exact same fabrics that were used in the film. I'm really proud of that. AP: It was his first time in a helicopter. He didn't say a word! I thought he was really rude, but he was terrified! TB: Anyway, that wasn't the pick point that I was leading to! But that was the first time we met. AP: It was very James Bond! It was perfect! TB: So, we're in Matthew's house and we're having breakfast, and Matthew's going up to his attic and bringing down velvet smoking jackets that his grandfather had worn, Arianne was talking through her ideas for a gentleman spy, and I was talking about what we sell on MR PORTER, and that was how it all kicked off. Probably two or three weeks later, Arianne came to the MR PORTER office with the mood boards that she'd created. Can you tell us a little bit about those mood boards and who you featured on them and why? AP: When Matthew first asked me to do this, a film about British gentleman spies, I asked him why he was asking me to do it; I'm American. Surely you're shooting this in London, so why not save money and save time by hiring British designers? There are some amazing British designers. And he said that was exactly the reason he wanted me to do it, because I had outside eyes. It was a little like converting to a religion, where I became completely orthodox. I'm a bit of an anglophile anyway, so I thought that this was an excuse to really get into it, to do my research about Savile Row. I already knew a little bit about it and had already sort of started the process on W.E. with the Duke of Windsor and so this was really just a continuation of that, which I thought was really exciting. So, the mood boards were a combination of great British men of style and the great history of the British spy genre movies, from the Harry Palmer movies, to James Bond. So, it was everyone from the Duke of Windsor, to Cary Grant, to Oliver Reed, to Roger Moore, and of course Sean Connery. David Niven and Noel Coward were on there. 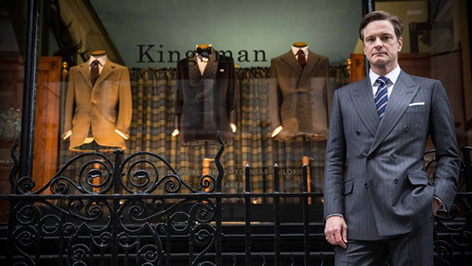 There's such a wonderful tradition of great British men's tailoring and British men's style. TB: Knowing the long-term plan was to make this a brand and to sell it, we knew that we couldn't simply have a two-button, single-breasted navy blue suit. Because what's the point of creating a new brand and selling a two-button navy blue suit. There are hundreds of them out there. What struck me when I saw those mood boards for the first time was that everything was double-breasted. Everything was really strongly patterned. I really didn't have any idea of what Arianne was going to come up with, so from my rather commercial point of view, it really struck a chord. There, I thought, is something different. There is something that we haven't got already on MR PORTER. Brands are not producing a well-cut double-breasted suit. Brands are not mixing such traditional fabrics with a modern cut suit. AP: Well, partly that was my own naiveté, because whilst I do have one foot in fashion when I'm in between movies, I have to admit that I haven't been completely up-to-date with what's been going on in men's collections. I just thought that MR PORTER has this Britishness about it, the fact that it's based in Britain, even though it's global and has this amazing global reach, I was actually surprised to see Toby's reaction to the mood boards because I thought I was going with the plan, that perhaps he'd think it wasn't inventive enough. Personally, I love a double-breasted silhouette and it's been a really long time since it's been looked at. I think it's ripe for a makeover, just perfect timing, as it's such a classic Savile Row silhouette, and now's the time for a younger man to wear it. We've been seeing little hints of it in fashion, but really I was lucky enough to have Toby say, yes let's go for it. Matthew Vaughn, who is really brave about his decisions, almost punk rock in a way. With Matthew, if you say "blue" he says "red", which kind of keeps you on your toes, which I love creatively. But Matthew was all about the double-breasted suit and bringing that into the zeitgeist of what's going on now. As a part of the orthodoxy of this project, it became clear to me that if this was going to live on in public and actually become a brand, we needed to make it unique in every way possible. So, I thought that it needed to be all British. It's about British elite spies, it's about Savile Row, it's about tradition and craftsmanship that's disappearing, and this is like the ability to have a greater reach, a story behind what we're doing. At first, the costumes I'd made that were one-offs, initially, which were like prototypes for the brand, were by a British Savile Row tailor, and I thought we should use British fabrics. There's a great tradition of British textiles, so let's see what's available. Sure enough, all these amazing companies such as Savile Clifford and William Halstead became involved. Then Toby and I started talking about making the garments in England. Almost nobody manufactures suits in England any more. There were perhaps a hundred, a hundred and fifty. Now there's just two or three. Which is a shame and really sad. I think in this world of luxury culture, we really have an opportunity to embrace craft and bring it back to the forefront. So, I was really into making it all British. TB: The thing about this project from MR PORTER's perspective is that it has integrity. That there is a reason for it being from the story in the film, which is about spies who based in a Savile Row tailors. So, it's not a cheap opportunity to do some merchandising, there is a reason for it being, because Kingsman exists in the film. To stay even more true to the Savile Row tailoring part of the film, it just would have been hypocritical if we'd then gone and had the garments made in China. It just wouldn't have felt right. So, from the shirts that were made by Turnbull and Asser, and the ties, which were made for us by Drakes, and the shoes, which were made by George Cleverley, it was really just a who's who of heritage British craftsman who specialise in those specific items. AP: I was already a huge fan of Cutler and Gross, who did all of our optical and our sunglasses, but I've been wearing their sunglasses for years, so I was really keen to bring them on board, and the fact that MR PORTER already stocked them just meant there was an added synergy to the project. And when I was doing A Single Man, Tom Ford introduced me to Turnbull and Asser, so when we were looking at shirting I wanted to bring them on board. So, we can take that heritage and let it support our brand and it becomes part of the story. I believe my job is about telling stories, so I can't help but want to have and authentic backstory behind what we're doing. Even if I didn't have the opportunity to communicate it to anyone, at least I'd have that feeling of it being authentic. Was there a particular item that was hard to conceptualise? AP: Well, it was the first time I'd ever designed a waxed jacket, so that was new for me. It wasn't particularly tricky, but it was a learning curve for me. In terms of the architecture of the suiting, I had a really great tailor I worked with and we hired a technical designer. 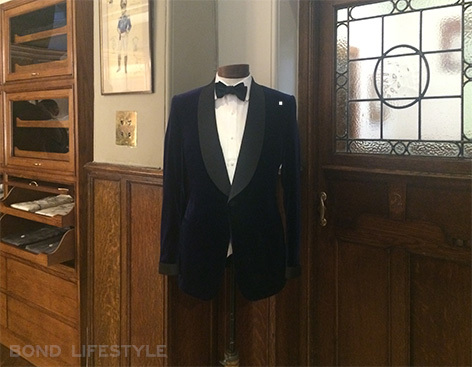 Obviously, the suiting that we made for the actors in the film is bespoke, but we created a philosophy of what the suit was about, in terms of the Savile Row shoulder, the nipped in waist, we made the body shorter, and we updated it, because we wanted to make sure that it would translate. So, we spent a lot of time and paid a lot of attention to it. On Toby's side, he really wanted to get it right. I went back to the States at the end of filming, so there was a lot of communication back and forth, and we did a lot of fittings along the way, to make sure that we got that balance. TB: The pattern for the suit was the most important part, and we got that done before Arianne left. We were up in Crewe in the factory and we started with Colin's bespoke suit. Now, Colin's has really wide shoulders and a really tiny waist - which is great, because he looks brilliant wearing a suit. He probably wears a suit better than any leading man of the moment. It's a brilliant advert for us, but you can't just turn that into your suit block and think that it's going to fit most men. But what we tried to do was to stay true to the overall silhouette that Colin's suit had and then grade it to become a more sellable shape. AP: Things don't change as easily here as they do in the States. We just kind of pay our way to make things happen, but here, if you're working with traditional craftsmen, it takes just a little more time to make things right. I think that was sometimes a challenge for me. We're working with a great English manufacturer, so we're very happy. 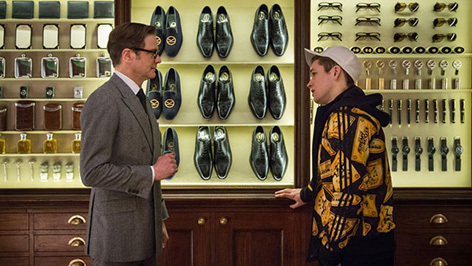 How will the Kingsman Collection change outside of the film? Will Arianne continue to have input in the collection seasonally as it develops? TB: The first collection is representative of the costumes in the film, as designed by Arianne. Arianne has also designed the second season, so there will be a second season to the collection, which will launch in April 2015. It's a continuation of what we see. So, Arianne and I have spent a lot of time talking about how to develop this, when there isn't Colin and Taron wearing the costumes. We just tried to envisage this modern Savile Row man and how he might be dressing from April to September. It transcends the film. Hopefully, there'll be sequels to the film, but films take a long time to make and release, so it will once again shine the spotlight on the collection. 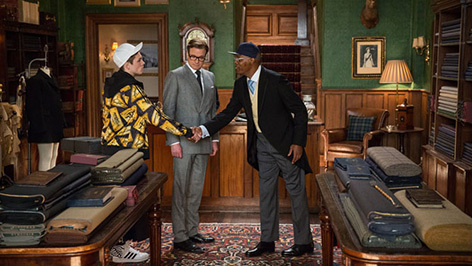 Ultimately, it might be a case of which came first: Kingsman the clothes, of Kingsman the movie. In reality, they came at the same time. How did you decide on the colours for the collection? AP: It's funny, but I have this conversation all the time with other costume designers. If you look at the palette of the world out there, most of the time it's like grey, brown and blue. But with Kingsman, Matthew Vaughn really wanted to keep things authentic and classic and timeless, but it's really just a balance when you're designing a film. I wasn't really creating a fashion collection, I was creating characters, and the colours that I used were appropriate to the design of the film and to what I thought was appropriate for classic Savile Row. 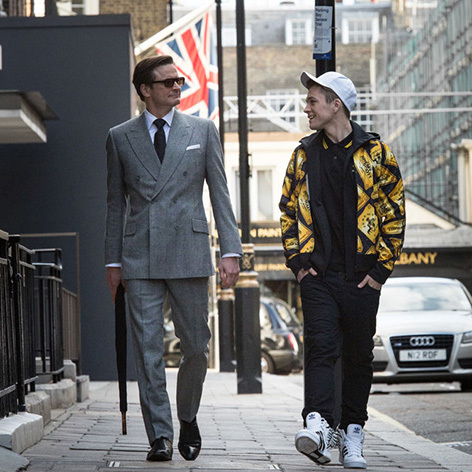 Who do you see as the customer for the Kingsman Collection? TB: Well, hopefully, it'll be a broad cross-section of customers. 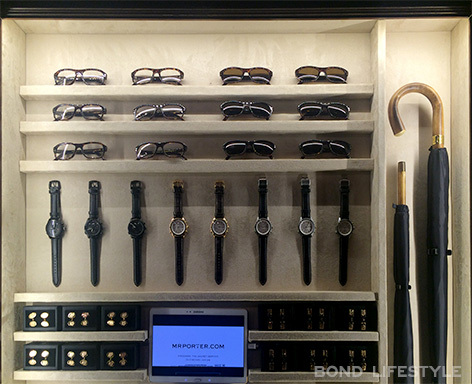 Our existing customers on MR PORTER range from their twenties to their fifties. That said, this is a specific kind of product and is selling at a relatively high price point, so a sixteen-year-old kid isn't going to come out of the cinema and - even if he thinks Colin looks cool and he wants to look like that - he may not be able to afford to buy it. But, he will be able to buy into the more accessible elements of it, such as the shirts, the ties, and the pocket squares. From a tailoring point of view, the suiting business is an interesting one. Fashion has spent so long in a very casual place and sportswear has such a massive influence on the designer collections these days, so you can go a whole season without seeing a suit on the runway. For Spring '15, there were no suits on the runway. 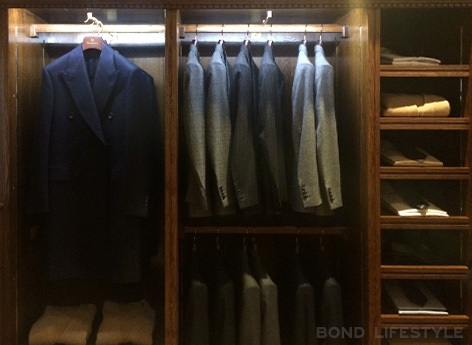 But we do sell suits well on MR PORTER, but we see them being more interesting. So, we think that if a guy wants to wear a suit once a week, or even once a month, he wants to do it properly. He's thinking if I'm going to look like this, then I'm going to look like this. I'm going to put a pocket square in, I'm going to wear nice shoes, and I'm going to wear a tie and concentrate on how I'm going to tie that tie. So, in that respect, I hope that these suits stand out and they'll kind of get people interested in wearing them again. 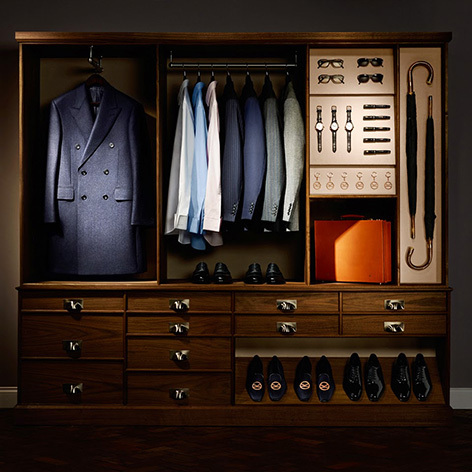 The Kingsman collection is now available on MR PORTER, see the the collection here. 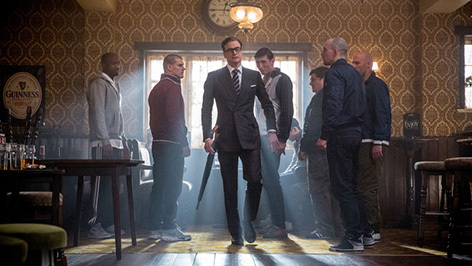 Kingsman: The Secret Service will be in cinemas in February.